The standoff between Government and Archbishop Peter Loy Chong on the appointment of faith-based principals in church schools should come as no surprise. 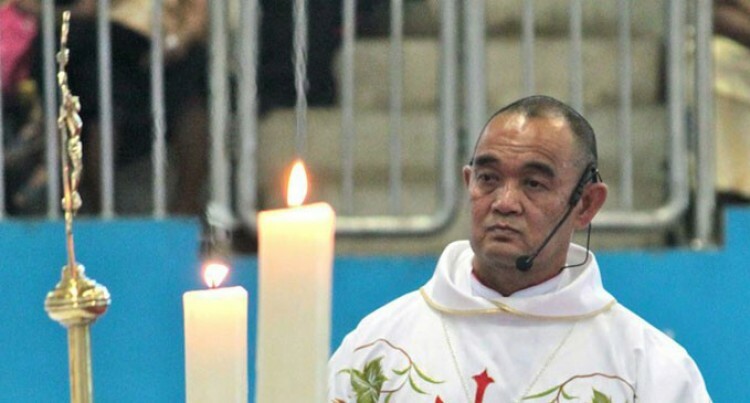 The position of the leader of Fiji’s Catholic Church on the relationship between social and political activism can be attributed to his exposure to Jesuit influence. This came when he was doing his theology doctorate at the Graduate Theological Union, Berkeley, California, United States. The GTU is a consortium of eight private independent American theological schools and eleven centres and affiliates. Seven of the theological schools are located in Berkeley, California. Some of the GTU consortia schools are part of other California universities such as Santa Clara University (Jesuit School of Theology) where the Archbishop studied and was awarded his doctorate in theology. Jesuit scholars are known for their outspokenness. Pope Francis is the first Jesuit to be ordained a Pope. His ordination raised eyebrows in some areas of the church. It is said that Jesuits used to be on the margins of church hierarchy because of their questioning and defiant attitude to what they see as wrongs. They have a strong focus on promoting education and fighting poverty. In fact, “the worst evil that can happen to us,” he said, is growing complacent, self-satisfied and worldly in one’s spiritual life, too. The Pope spoke with staff and students of Rome’s International College of Gesu, founded by the late Jesuit Father Pedro Arrupe in 1968. The Pope told the community that they were called to strengthen their roots in God and grow in love. “Don’t be afraid of crises,” he told them, because it is necessary the same way there is no “fruit without pruning, no victory without a battle,” he said. If such worldliness “attacks the roots, then goodbye fruit and goodbye plant. For me, this is the greatest danger right now – of spiritual worldliness that leads you to clericalism and so on,” he added. Such words must have given Archbishop Loy Chong inspiration to pursue his current course of action. It’s interesting to note that his predecessor, the late Archbishop Petero Mataca, was also vocal but not on education led by faith-based principals. If he did he must have done it privately away from the glare of the media. Politically Archbishop Mataca was vocal against the Laisenia Qarase SDL Government over a plan to hold a Reconciliation and Unity Commission to compensate victims of the 2000 coup and pardon the perpetrators. He said any effort to push through a Bill on this would not be in the interests of the country. It would’ve been counterproductive and would threaten Fiji’s future stability. Not all Catholics agreed with him in the same way as some Catholics may not agree with Archbishop Loy Chong on faith-based principals. The late Archbishop Mataca also opposed the idea of making Fiji a Christian state and was vehemently against ethnic politics. He later co-chaired a national Council for Building a Better Fiji with Prime Minister Voreqe Bainimarama. Because he favoured a secular state and equal citizenry it would not be unreasonable to assume that he would also support the Government’s move to appoint church school principals on merit, meaning the best candidates are chosen whether they are Catholics or not. Good sense has prevailed now that the threat to close Catholic schools if their demand is not met has been downgraded. Government and the faith-based school owners will sit down and have productive discussions to resolve the issues. For Archbishop Peter Loy Chong it might help if he took his cue from the legacy left behind by Archbishop Petero Mataca.